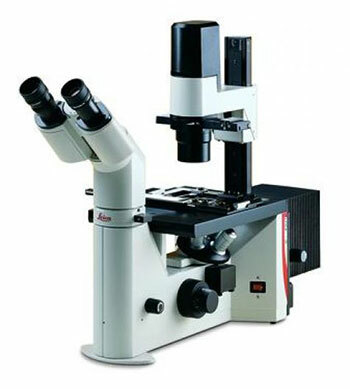 The Leica DM IL is the inverted contrasting microscope of choice for microbiology and cell culture laboratories. For the first time, Leica’s unique IMC (Integrated Modulation Contrast) enables high quality Hoffman modulation contrast without having to use special objectives. Unique feature: Integrated Hoffman Modulation Contrast (IMC) without need for special modified objectives. Easy to adjust with one modulator and one illumination slider for all objectives. With the same set of objectives it is possible to do Brightfield, Phase Contrast, Modulation Contrast and Fluorescence.